Name came from the word mandula which means almond. 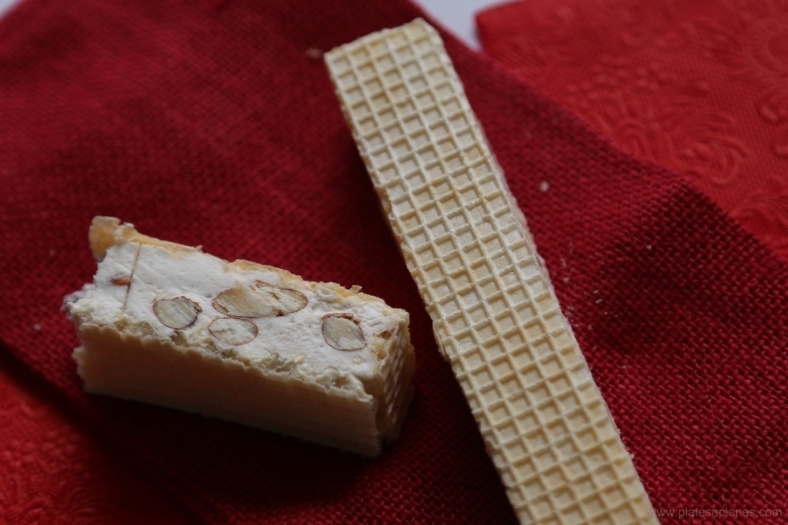 It is similar to Italian torrone, Spanish turrón, Portugese torrão (they made it with thin paper wafer and in Dalmatia we use the thicker one). It is typical for South Mediterranean Europe. Italians claim that it was mentioned for the 1st in 15th century Italy, while I found out that Chinese knew about it even before. It doesn’t really matter since it tastes just amazing! Mix the egg whites also on bagnomaria, slowly add sugar and honey and continue to cook it and stir for about 10 minutes, than add the almonds. Continue to cook it on bagnomaria until mixture starts to separate from the bowl, approx. 40 minutes. In the meantime put one wafer in rectangular low baking mold (covered with baking paper). 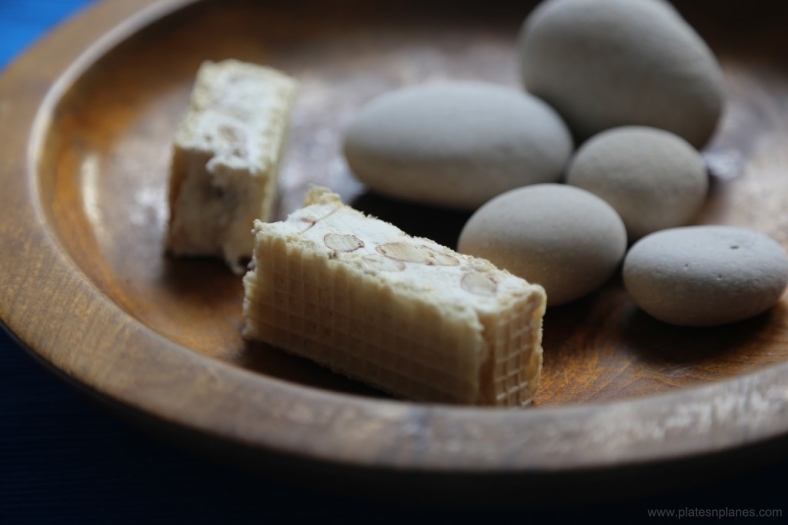 Pour the mixture on wafer, spread with wooden spoon and cover it with another wafer. Push a bit with hands. Cover with something heavy and leave it overnight. Next day you can easily cut Mandulat and finally enjoy it!